Typically the flight attendant salary is broken up into two sectors, commercial (Delta, JetBlue, etc) and private aviation (very wealthy, famous or important people and groups). First, we are going to discuss the salary of a flight attendant in the private or corporate sector as it has the most relevance to the nature of our training. 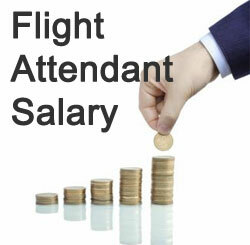 Second we will explain the salary of Commercial Aviation (Delta, American, ect.). "How much do you think a corporate / private flight attendant should get paid daily?" The responses to flight attendant salary question were excellent and came from real private jet flight attendants, flying all over the world. "I would venture to say that if the flight attendant is local to metropolitan areas such as NY or LA then experience would say $450-$500 per day. Smaller venues $300-$350 per day. pay range is not set in stone. Typically, fractional operators pay less than charter operators (135's) who pay less than owner operators (91's). International: 500-700 dollars per day, plus per diem. Also understand that a flight attendant that flies on a daily rate, is most often called a contract corporate flight attendant. Most times when a candidate is hired, they will fly their first trip as a contractor, then the flight department, most likely the pilot and owner, will choose to ask you for a on as a full time position. At that time you will speak about many other aspects of flying such as how many days will you may be on call / on duty per month. What will be my yearly flight attendant salary. Sometimes it may take multiple contract flights before this offer is even presented. Also to note, some of our graduates and other flight attendants in the industry prefer contract flying for its very flexible schedule and the ability to choose which flight to fly and when.